The apex court found several lapses in the police investigation including several discrepancies in forensic examination and post-mortem reports. The Supreme Court on December 10 acquitted four Muslims who were earlier convicted by the Allahabad High Court in the 2001 Kanpur riots wherein an Additional District Magistrate was killed on the spot on March 16, 2001. The four convicted persons – Syed Wasif Haider, Haji Atique, Mumtaz Rasool and Safaat Rasool – had to spend eight years behind bars for a crime they never committed. The prosecution failed to bring on record substantial evidence and therefore, the charges against them were dismissed by the apex court. 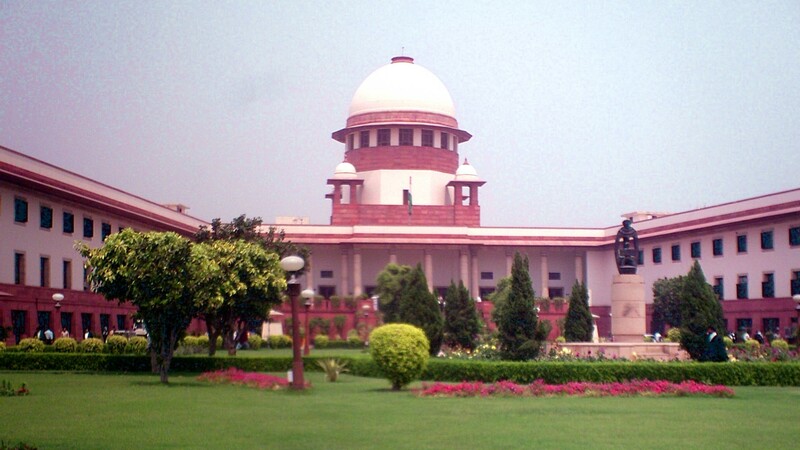 A top court bench comprising Justice N V Ramana and Justice M M Shantangaudar found lapses in the police probe on seven counts, including an inordinate delay in conducting the Test Identification Parade (TIP), discrepancies in forensic examination, post-mortem reports, place of occurrence of the incident, recovery of weapon and examination of the material witness. “Heard learned counsels for the parties. At the outset, we would like to state that in an appeal against acquittal, the appellate court would interfere only where there exists perversity of fact and law. Further, the presumption of innocence is further reinforced against the acquitted accused by having a judgment in his favour,” the bench ruled. In March 2001, about two hundred Vishwa Hindu Parishad (VHP) leaders allegedly burnt a copy of the holy Quran and tore up posters of Islamic shrines to protest against the destruction of Bamiyan statues by Afghanistan's ruling Taliban. The VHP protesters blocked traffic in an upmarket New Delhi neighbourhood as they danced around a burning copy of the Quran and threatened to destroy India's iconic mosque, Jama Masjid. Wasif struggled for seventeen years to get justice. During the eight years of his stay in jail, since August 4, 2001, till August 12, 2009, he lost his father. Syed Haider Ali Jafri, Wasif’s father was a recipient of the Sahitya Academy Award for his translation work. Coming from an educated background, Wasif had never imagined that he would see horrible days in his life. "There was no criminal record in my family, but still I was arrested,” he told NewsClick. Now, Wasif is gearing up for a legal battle demanding compensation for his wrongful conviction in the case. When asked about his feelings after the judgement, Wasif said, "Seventeen years of my life have faded away. The accountability of those who falsely framed us should be decided, otherwise the judgement would be considered as ‘incomplete'. Those people should be punished for destroying our lives." This case is just another example of how several anti-terrorism laws, including the UAPA, have made it easier to target Muslims and marginalised people.